LASER TATTOO REMOVAL; BODY stetik is a European brand that counts with the most advanced laser technology and aesthetic apparatus on the market. ; ; The new Laser BS 1.6 is a Q-switch YAG laser with Sapphire Crystal which works with two wavelengths to eliminate the different colors. 1064 nm for black and dark blue color and 532 nm for colors more clear as Brown, red, etc...; ; Much more improved their previous model, this laser uses a high energy light which makes pigments that exist in the epidermis to absorb this energy making them which they exploited and fragmented into tiny particles that the body can be removed with ease. ; ; APPLICATIONS: Tattoos and permanent makeup (micropigmentation) no scar removal. ; ; BS 1.6 laser is the laser more powerful market in its range, this makes life any longer. The duration of the Sapphire Crystal is a 700,000 shots, making investment in this machine will make four compared to the rest of the lasers on the market. New system of shutter release trigger on the gun. Touch screen with much more information from 8.5 ". Included training course. Diploma of fitness as laser operator. All our teams are equipped with 1 year warranty. Trigger by pedal and trigger in the handle or gun. This makes it more comfortable when driving it. ; ; Wavelength: 1064 nm and 532 nm; Pulse duration: 12 ns; Shooting diameter: 4 mm; Energy density: 1600 mj; Pulse frequency: 1-6 Hz; Dimensions: 46 x 28 x 28 cm; Voltage: 220/110V, 12A, 50/60 Hz; Cooling system: semiconductor Agua+Aire+refrigerante; QUESTIONS AND ANSWERS:; * HOW DOES WORK? ; ; Laser BS 1.6 is a Q-switch YAG laser with Sapphire Crystal which works with two wavelengths to eliminate different colors. ; ; This laser uses a high energy light which makes pigments that exist in the epidermis to absorb this energy haciendolos that explode and fragmented into tiny particles that the body can be removed with ease by the immune system (white blood cells) and lymphatic system. ; We must leave time of 45 to 60 days to give the body time to absorb these remains and we can see what is left. After this time, the area is prepared to return to another session, this time with more power. ; ; * HOW MANY SESSIONS YOU NEED? ; ; The number of sessions depends on the density, composition and depth of ink and the absorptive capacity of the body. Colors like green or yellow can take much longer to removed or not removed completely. By what may not be given a number of specific sessions for the total or partial elimination, since that depends on many factors, but on average you can make an average of 5 sessions. ; ; * WOULD LEAVE SIGNALS OR SCAR? ; ; BS 1.6 laser emits a beam of light to 12 nanoseconds, i.e. at high speed which goes beyond the skin without any mark or damage to it, since that does not give time to which the skin absorbs said beam light. ; ; * WHICH DISTINGUISHES THIS LASER FOR THE REST OF THE MARKET? ; ; Aside from having the latest technology and advances in the market for better elimination in the second session, the importance of a laser with enough power density is a lot to get to the deeper pigments. We need to you have encuenta that the ink particle explodes in all directions and makes it to deepen certain particles down also, not all lasers come to these depths by be more limited power. 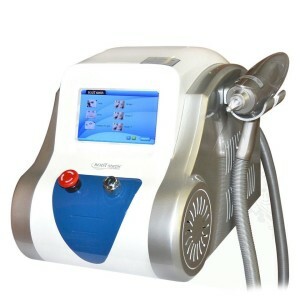 The 1600 mj of this laser ensures that you reach where others do not come with much more optimal results. ; ; * LASER IS A DEVICE THAT IS NOT CHEAP, A LASER CAN BE PROFITABLE? ; ; We have to have encuenta that several sessions are needed to remove a tattoo, so if we have, the Elimination of utattoo n, may be two or three times more expensive that do it, at the same time which it takes much less to each session. ; ; This laser has a rated life of a 700,000 shots approximately, so it can make a stipulation that when we find reached 700,000 shots, it's as if we would have bought about 14 or 15 lasers. We can therefore say that the laser removal of tattoos or pigments is a very profitable investment. ; ; Important software in Spanish. ; ; For any extra information, do not hesitate to get in touch with us.